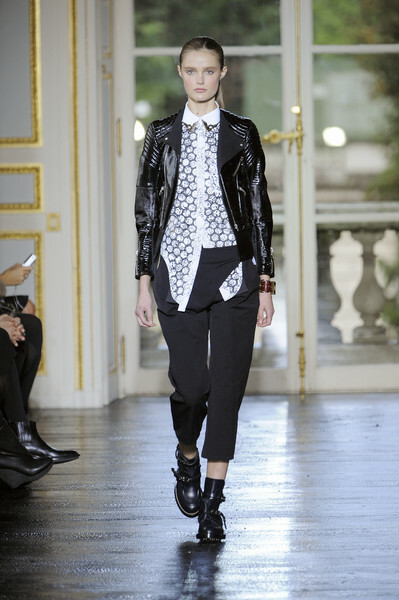 Again, Nicolas Ghesquiere suprised us with a very streetwise-collection, this time with influences from the punk-era. 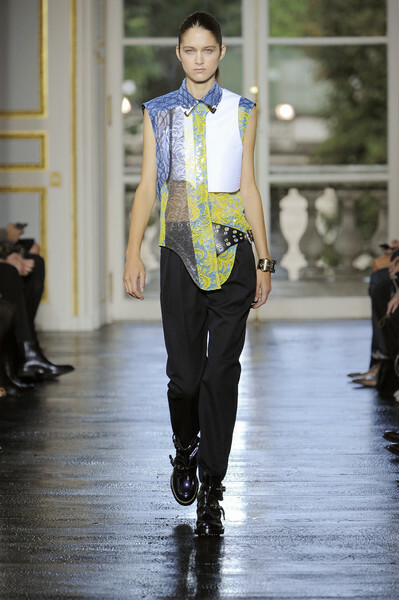 By the choice of his models Ghesquiere already explained the theme of his show: to express identity and individuality. Besides 6 supermodels – like Stella Tennant, Carolyn Murphy and Gisele Bundchen – he also casted 6 girls at the streets of Amsterdam, Belgium and Copenhagen. 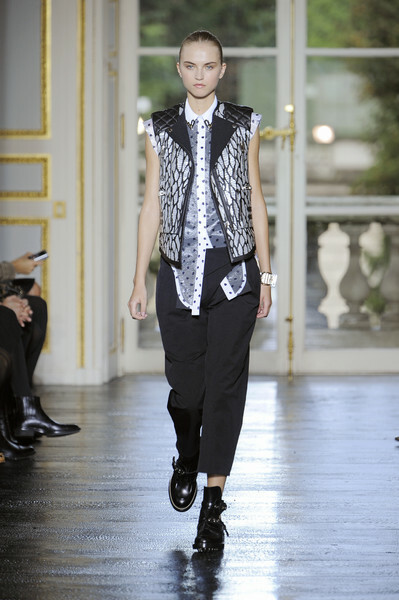 The look was streetwear infused with a bit of London punk and retro teddy boys. Every garment was treated, coated, lacquered and manipulated by hand. 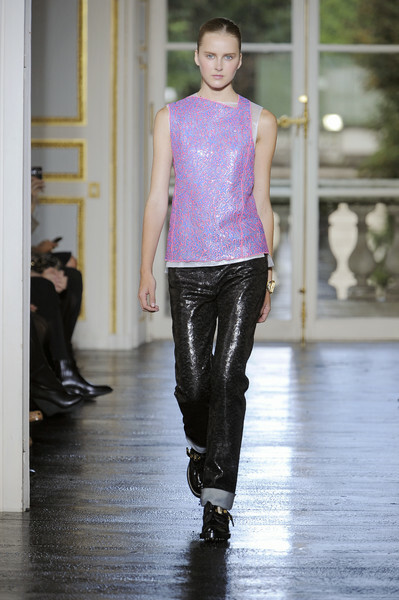 For example: some leathers were embroidered with PVC to make it look fake and knits were coated with brushed silk. He also mixed couture techniques with modern edge laser cutting. 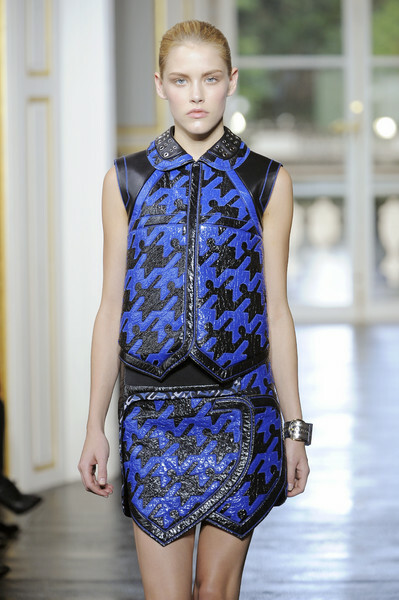 The collection was dominated by thick, molded leathers lacquered with big houndstooth patterns in red, black, white and blue. More or less feminine were the draped dresses and sleeveles shirts with neon lace inserts. The overall look was boyish, and it was the designers purpose to react to ‘a certain kind of sexiness’ as he told the press.